We’re going to be covering Wellington & Leegomery in Telford with these amazing postcards designed and printed by Telford Printers, Runtime in the last week of November and the first week of December. It’s the perfect time of year to get your gutters clear before the snow and ice take hold, adding extra weight to guttering testing your fastenings and straining the joints! 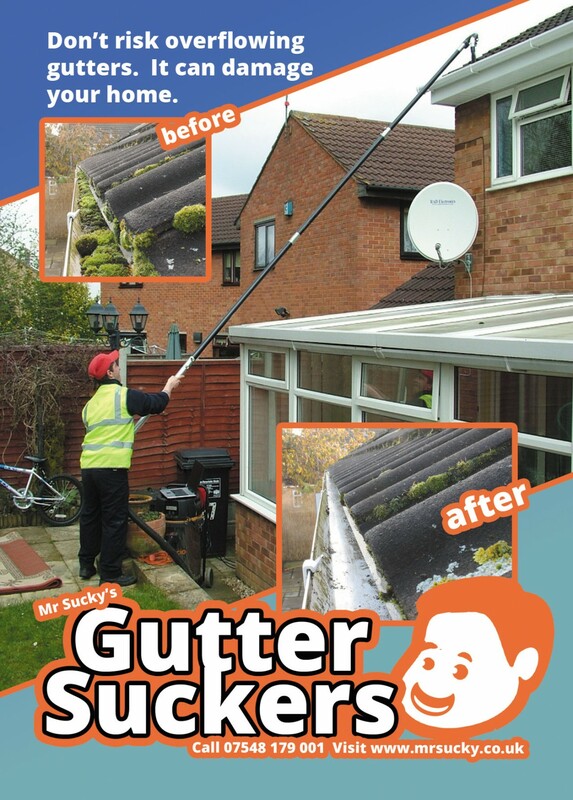 Much better to clear out the gutters now and let the melted water flow freely down your drainpipe and away safely. 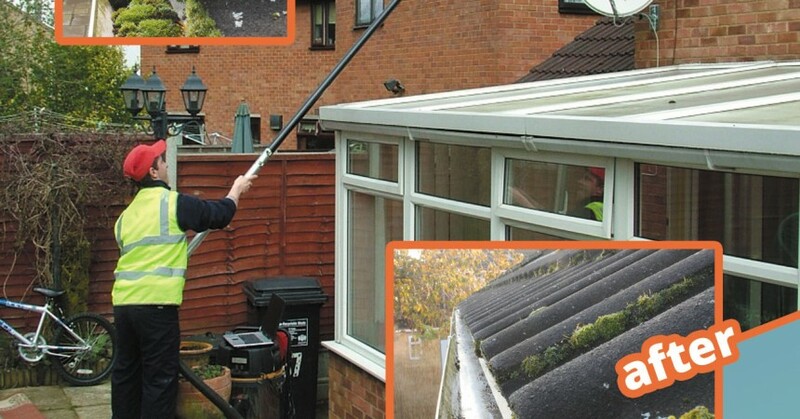 If gutters get clogged up with leaves and moss, it can cause overflowing, sending water down the walls or even into the sofits and roof boards, causing them to rot if they are made of wood, or in some cases getting through to the interior and causing damp patches. You can’t see into your gutters from ground level. Please give us a call and get it sorted before its too late.